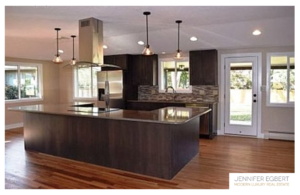 This beautifully remodeled home in South Boulder boasts a brand new kitchen, bathrooms, windows, refinished hardwood floors, carpeting and appliances. The open great room with tons of natural light is complemented by the gorgeous kitchen island. Downstairs is an additional family room and the laundry room. The master suite features a large walk-in closet, and stunning bath with frameless shower. All of the second floor bedrooms have mountain views. Large backyard with porch and new sprinkler system. Plenty of room for expansion on this 1/3 acre lot. Listed with Best Choice Realty.